Pangu released iOS 9.3.3 jailbreak for iPhone and iPad. The jailbreak update finally goes available for the public. You can jailbreak iOS 9.3.3 on your iPhone and iPad device using Pangu’s provided iOS 9.3.3 Jailbreak tool. The iOS 9.3.3 Jailbreak tool is available to download on Windows. Pangu has released the jailbreak for Windows users only at the moment. Pangu iOS 9.3.3 Jailbreak is a semi-tethered jailbreak. Pangu has used the specific exploit to jailbreak iOS 9.3.3 only for 64-bit running devices. Means you cannot jailbreak your older devices that are running iOS 9.3.x firmware versions right now. Over the last few months, we heard Pangu is silent on iOS 9.3.3 Jailbreak development, and there was no update. Silence from Pangu raised several questions in the community about the availability of public jailbreak tools for the general public. Several jailbreak hackers came through to showcase their skills with demoing their iOS 9.3.3 jailbreak exploits, but none of them were willing to release them. We have seen iOS 10 Jailbreak exploit which worked pretty well for iOS 9.3.3 running device, but the hacker refused to release it. Most of the hackers were keeping their iOS 9.3.3 jailbreak exploits for research and educational basis. With iOS 9.3.3 jailbreak development, we have seen an old hacker, iH8sn0w, making news in the iOS community with his exploit. At the moment, Pangu only releases jailbreak for latest devices. You can download iOS 9.3.3 jailbreak on Windows running computer and jailbreak your iPhone. It is an on-demand jailbreak. Since the launch of jailbreak, we are receiving numerous messages and queries about how to perform iOS 9.3.3 jailbreak on iPhone and iPad devices. Step 1: Download iOS 9.3.3 Jailbreak from Pangu’s website. Step 2: Connect your iPhone/iPad to computer and jailbreak it with software. Step 3: During the jailbreak process, Pangu will install an app on your iOS device that lets you achieve jailbreak. Step 4: Once the device reboots, you need to rerun the application to achieve jailbreak. It is a semi-tethered jailbreak. It means you have to jailbreak your device manually every time you reboot it. Step 5: That’s it. 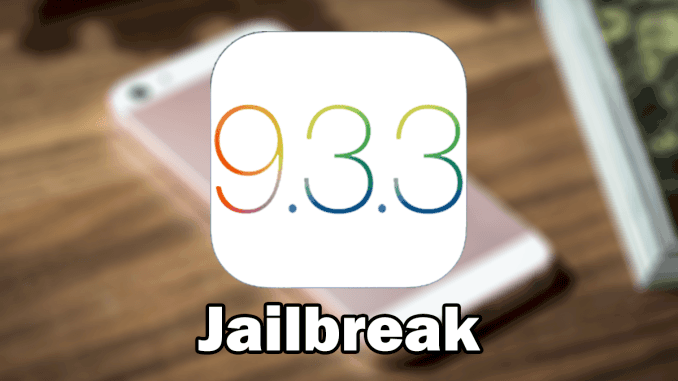 If you face any issue while jailbreaking iOS 9.3.3, we would like to help you! You can get your device jailbroken using the above-mentioned steps. We know Pangu took a very good time in releasing iOS 9.3.3 jailbreak for general public.